One of the benefits of working in travel PR here in Cornwall is that we get to look around some amazing houses. Perfect Stays are a luxury lettings specialist with high-end properties across the county. We asked their PR Manager Rebecca Bennett some questions about a few of our favourite Perfect Stays properties. What three words best describe this property? Families or large groups of friends. 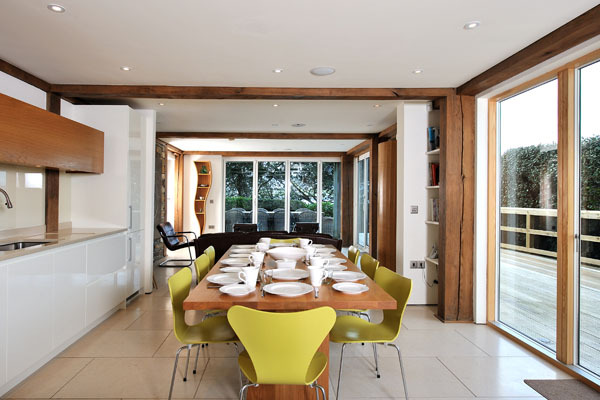 There is plenty of space for everyone to eat together and the house is versatile enough with its double-ended lounge, study and media room to ensure that people don’t feel on top of each other. Children will love the large gardens and trampoline and the neighbouring horses that often stop by the garden fence. Guests looking to bring their pets on holiday. What can we get up to? Alongside beaches and numerous outdoor activities, Ednovean has plenty to occupy you on a rainy day with a large Smart TV and Netflix in the living room and surround sound in the media room. Ednovean is also ideal for special occasions, with award-winning chef Ben Prior from Ben’s Cornish Kitchen available to come and cook for you. St Michael’s Mount, across Mount’s Bay, Mousehole & lots of horses! St Ives, Penzance, Mousehole or Porthleven to name just a few places. How many people can stay here? 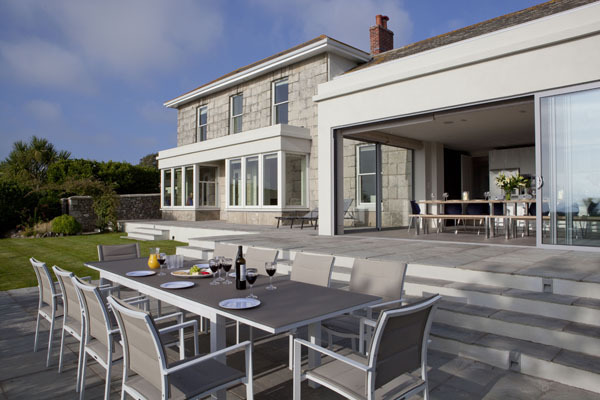 Ednovean House is a newly refurbished, seriously stylish Victorian granite house. Short breaks are available at various times throughout the year with 3 nights starting from £1,600, and week-long stays starting from £1,900. Foodies! Within a few minutes walk you have Nathan Outlaw’s two Michelin-starred restaurant, and Michelin-starred Paul Ainsworth at Number Six is just a water taxi ride away in Padstow. Those looking for a last minute booking. 5 Gull Rock is one of our most popular self-catering holiday homes, so it’s always a good idea to book far in advance. Other than eating ‘til your heart’s content, Rock is a fantastic base for water sport enthusiasts as it’s right on the Camel Estuary. From wakeboarding, stand up paddle boarding and kite surfing, to fishing trips and sailing – it really has got it all. Views over the Camel Estuary to Padstow. It’s such a picturesque spot and the view changes every time we’re there welcoming new guests. Doc Martin’s Port Isaac, or Portwenn as it’s known in the series. Dog. 5 Gull Rock is a dog-friendly property with a large enclosed garden to the front and rear. 5 Gull Rock’s staggering wooden front door took 4 men to lift and fix into position! A short stay outside of peak season starts from £1,500 for 3 nights, with week-long stays from £1,800. Large group of friends or a family get-together. 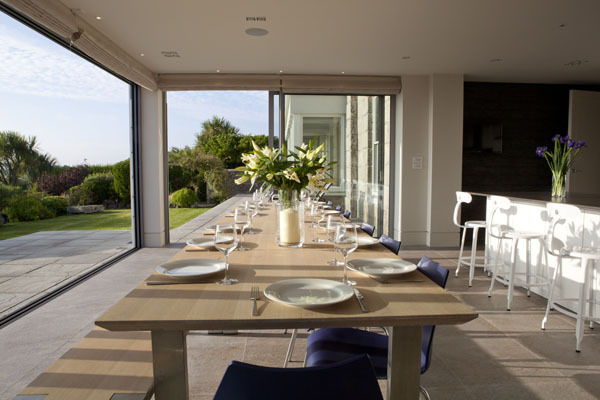 The enormous open-plan ground floor works perfectly for dinner parties, with incredible views across Polzeath beach. Our private chefs are often booked by guests in this house. People with limited mobility. 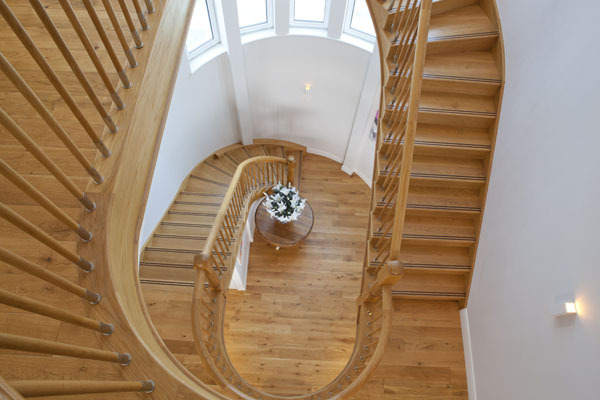 One of the impressive features of Tristram House is an enormous circular staircase that runs through the very centre, serving all three floors. Surfing, swimming, beach cricket, the list is endless. Tristram House is right beside Polzeath beach, making this the perfect holiday home for keen surfers, or those looking to learn. Walkers will also appreciate the South West Coast Path on Tristram’s doorstep with walks to Pentire Head and The Rumps. Sand, sea and lots of it! 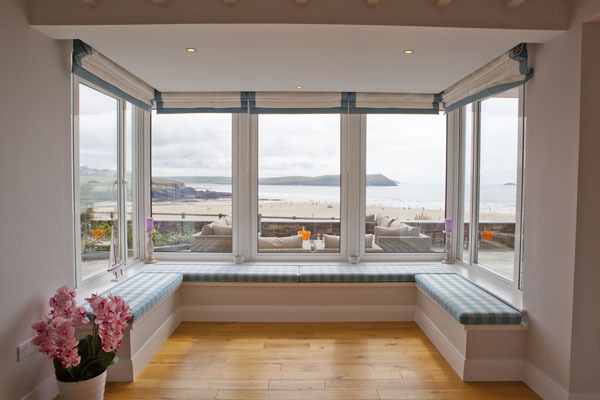 Tristram House enjoys a privileged position beside Polzeath beach and the large front patio, balconies and most rooms in the house make the best of it. The prized St Enodoc Golf Club is just a 15 minute drive away. Ranked in the top 100 golf courses in the world with some of the best sea and estuary views, this is a must-visit for anyone wanting to brush up on their game. Sun cream. You’ll have plenty of opportunity to catch some rays especially if the weather is like it was last summer. Tristram house is just two years old and underwent a complete refurbishment in June of 2013. Short breaks of 3 nights are available at various times throughout the year and start from £2,050, with week-long stays beginning at £2,550. 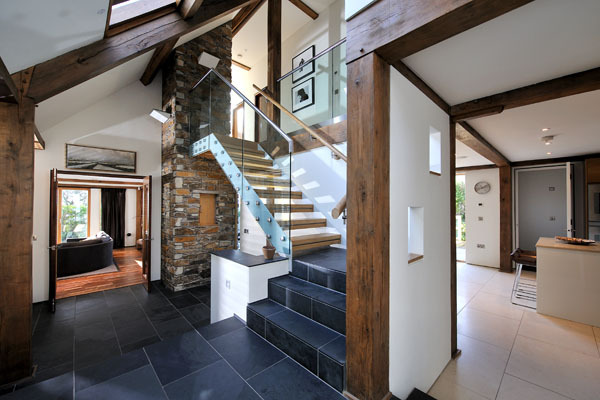 Find out more about Perfect Stays properties at www.perfectstays.co.uk.